Meerkat Pest Control is a local family owned pest control company delivering service excellence throughout the Upstate New York Region. With over 100 years combined experience we're committed to complete quality control, inspection integrity, and only the highest standards of service. Our service staff from office to field personnel take great pride in delivering outstanding results that solve your pest & wildlife problems for good. 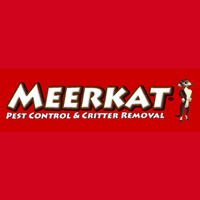 For true quality workmanship in pest control call Meerkat to set up your free evaluation and inspection today. Your home and family will be happy you did. Service is quick and takes care of my problems with Carpenter Bees and ants. Non toxic products are used. They are very professional and take the time to listen to your concerns. Russ is our usual technician and he knows the trouble spots in our house and pays special attention to those. I would (and have) recommended them to friends in our area. Evan did our initial consultation. Rick and Cody did our service visits. We were dealing with bats and mice! They were all extremely polite, professional, and knowledgeable, and so far, effective! I would highly recommend Meerkat to anyone. I am happy with your service and follow up. Overall I'm very satisfied with my service, however nearly two weeks after my last application I am still killing carpenter ants throughout my house. I thought by now they would have diminished. This was our first time having to deal with rodents in our home. Nick and Jon were professional, experienced, thorough, and answered all our questions. Would highly recommend and would definitely use again.